From the acclaimed Vanity Fair and GQ journalist - an unprecedented, in-depth portrait of the man whose return to Apple precipitated one of the biggest turnarounds in business history. When Steve Jobs became the acting CEO of Apple Computers, it was hemorrhaging more than a billion dollars a year. His return after twelve years of exile to the company he co-founded completely revitalized Apple. With the revolutionary success of the iMac, Apple turned a profit of over $600 million last year. 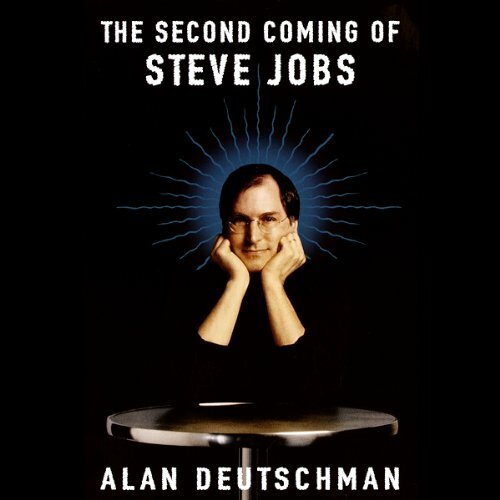 Based on interviews with scores of people - rivals, colleagues, friends - who have worked with Jobs over the years, The Second Coming of Steve Jobs presents the most revealing portrait yet of this extraordinarily complex man; how and why he almost gave up his career; the details of his negotiations with Disney's Jeffrey Kaztenberg and Michael Eisner and of the culture clash between Silicon Valley and Hollywood; his methods of leadership, management, creativity, and innovation; his friendship and rivalry with Bill Gates - and much more. Since the early days of Apple, Steve Jobs has captivated the public. Now, as Jobs prepares to conquer Hollywood with his enormously successful animation film studio, Pixar, Alan Deutschman brings listeners what will be one of the most talked-about business audios of the year. Alan Deutschman is a contributing editor at Vanity Fair. For the past twelve years, he has covered business and technology. He was a correspondent for Fortune for seven years, a senior writer at GQ, and a contributing editor at New York magazine.